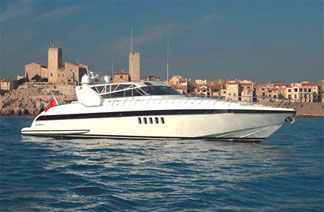 Experience Luxury Aboard Our 80′ Mangusta Motor Yacht! 1999 80ft. Mangusta Express. This is one of the fastest 80 ft. yachts in the world. A cruising speed of 34 knots allows for quick access to most destinations. 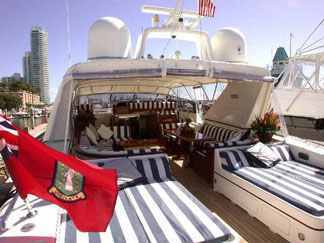 The yacht has a 3 stateroom layout so it is a good choice for Bahamas yacht charters or cruising around.